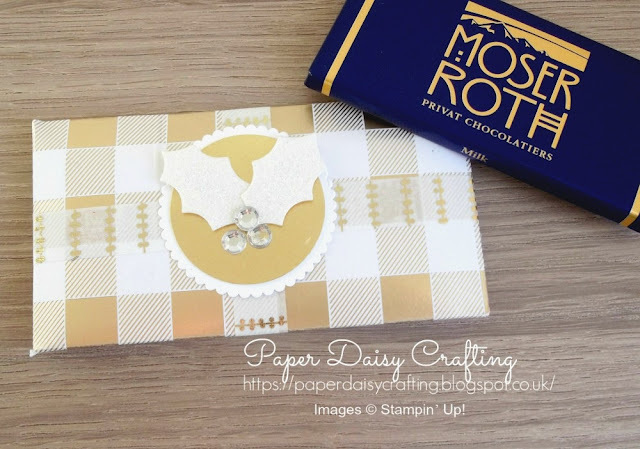 As promised I'm here to show you another variation of the mini chocolate bar wrapper that I showed you yesterday. 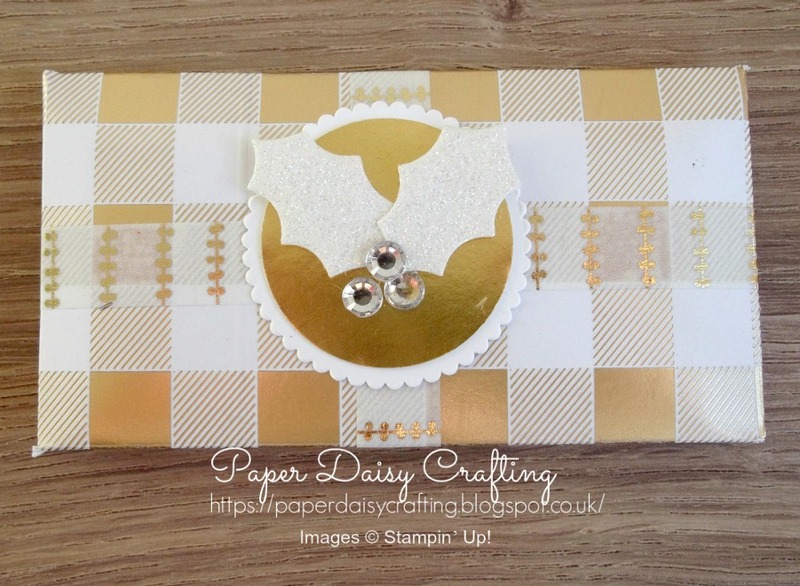 This one uses another one of the papers from the Year of Cheer pack, this time with gold foiling. I've also used one of the Year of Cheer washi papers. The embellishment in the centre uses another one of the dies from the Trim Your Stocking set - this time its the holly leaf. For the berries I've added a few basic rhinestones.